Stepping off the plane in Quito, Ecuador, the first thing you notice are the colors. 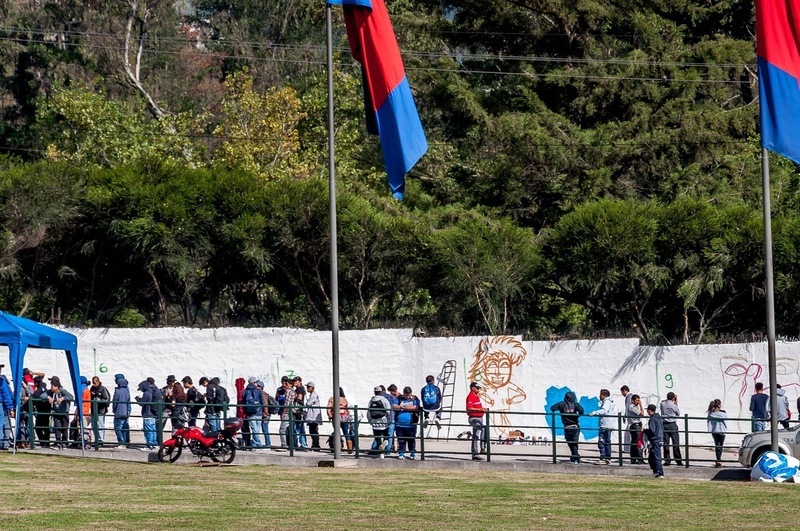 The entire country is bathed in bright reds, lush greens, deep blues, sunny yellows and everything in between. Some of that is because this is one of the world’s most beautiful countries. 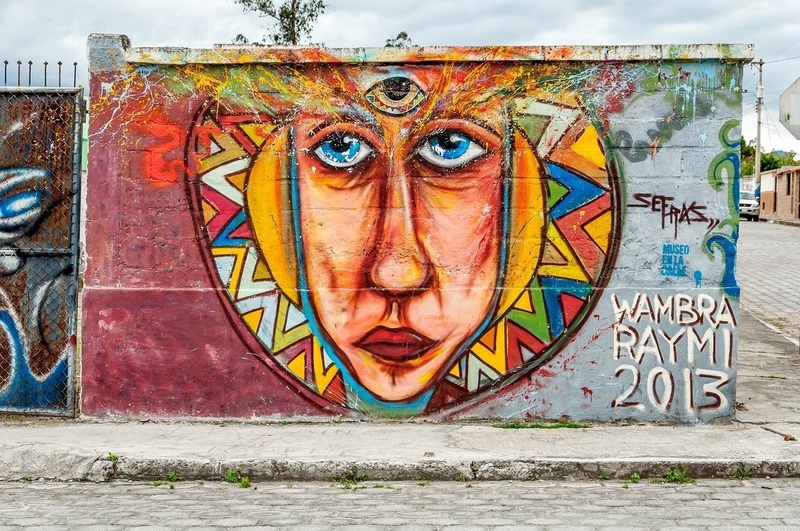 But much of it is also due to the Ecuador graffiti scene – a robust sub-culture that takes street art who whole new levels. 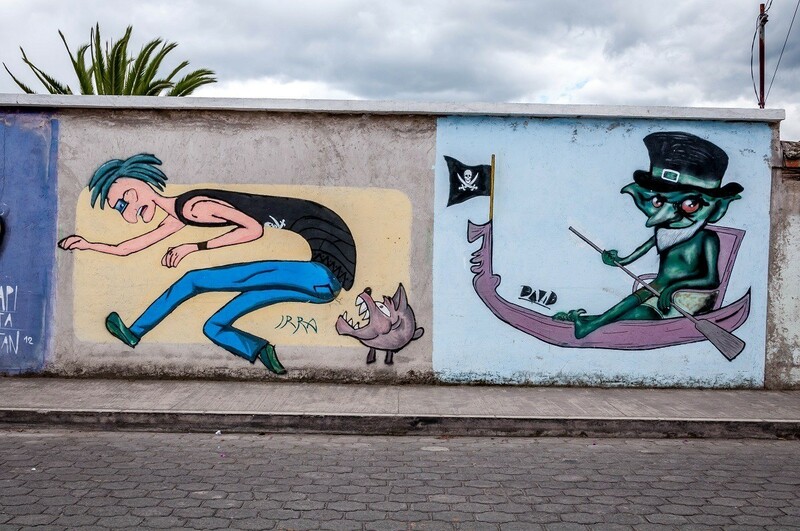 In many countries, street art is treated like a crime. 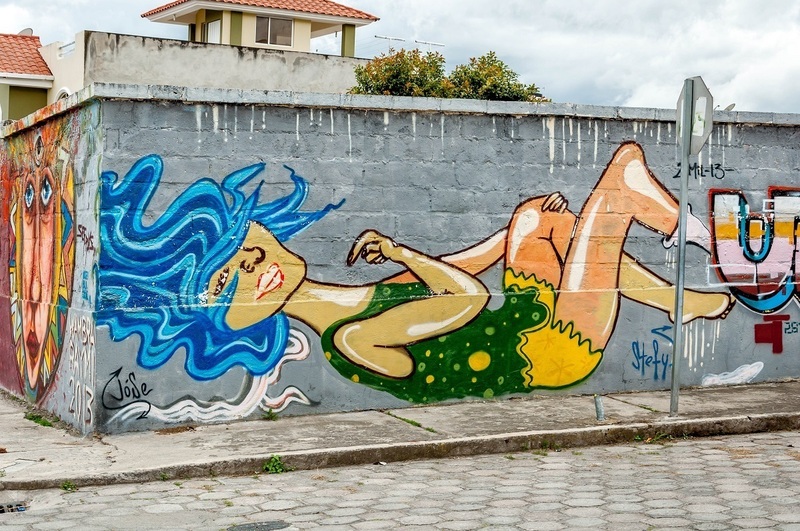 Beautiful murals are hidden in trash filled alleys such as in Toronto or Vancouver. 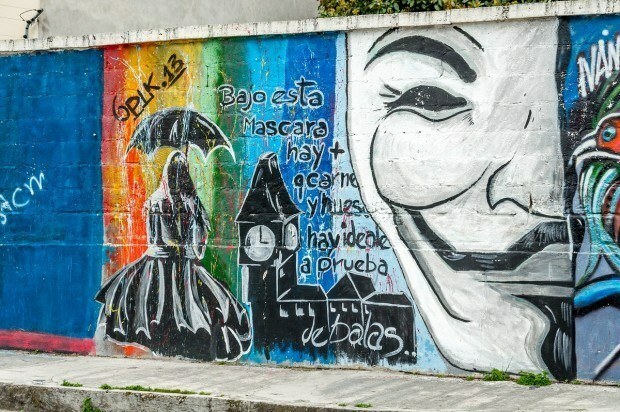 Or they might be tucked away in the back of parking garages or lining railroad tracks or generaly being hidden from public view. 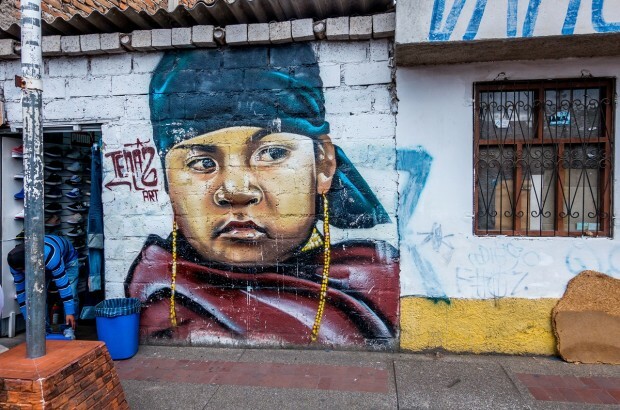 But street art in Ecuador doesn’t hide – it is front and center. We learned, however, that the government has recently been cracking down on Ecuador’s graffiti artists. 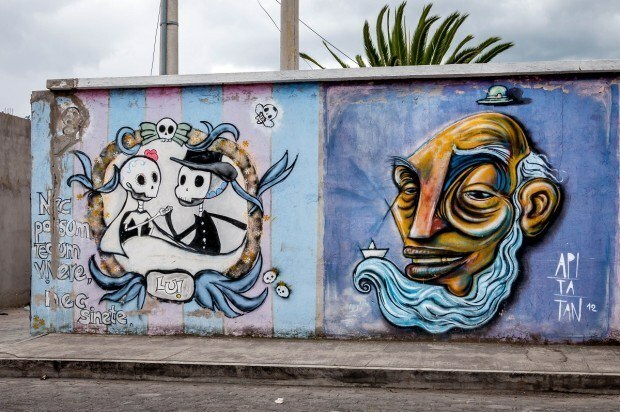 There are new laws that prohibit street art and include steep fines and even jail time. That hasn’t stopped the creation of beautiful street art in Ecuador. 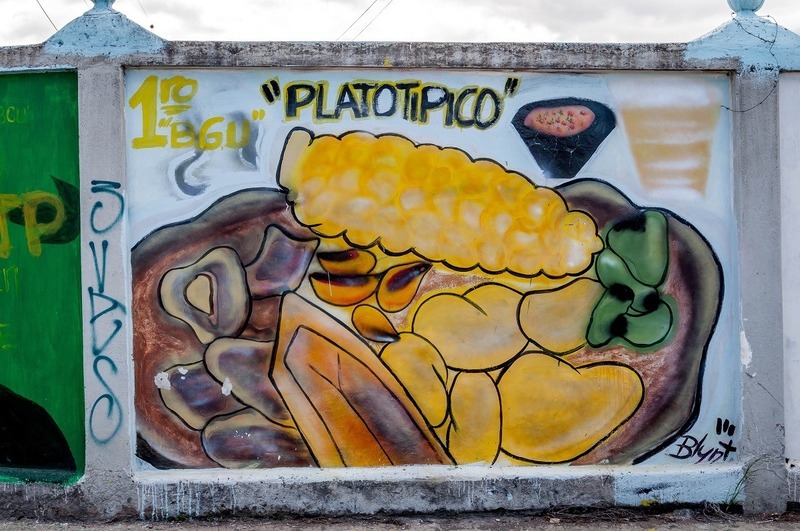 Otavalo – The city surrounded by high volcano peaks is known for its market – one of the largest in the Andes. The local Otavaleños dress in traditional attire and the market is full of delights. The walls of the city around the market have numerous murals. 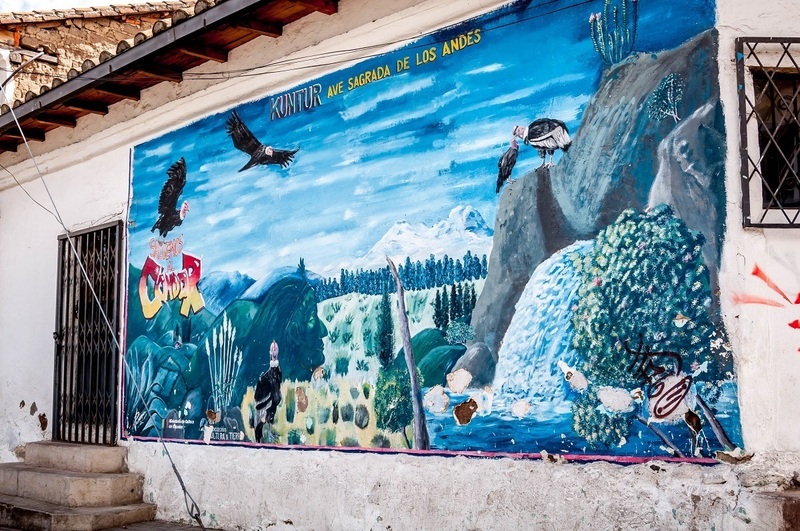 Cotacachi –At the base of the Cotacachi volcano, the small town of the same name boasts a community that is well known for its fine leather products. 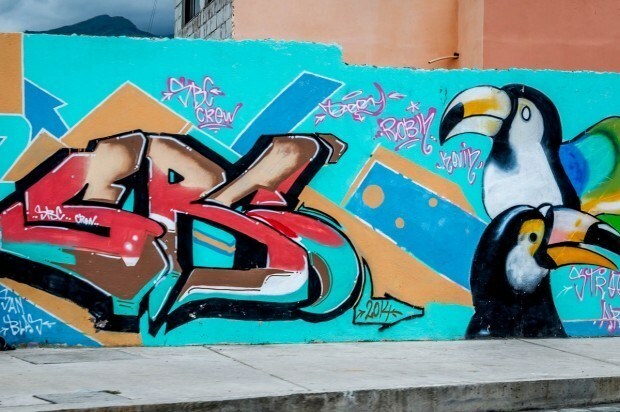 A number of Ecuador’s graffiti artists live and work in the community and the local walls can attest to their talents. 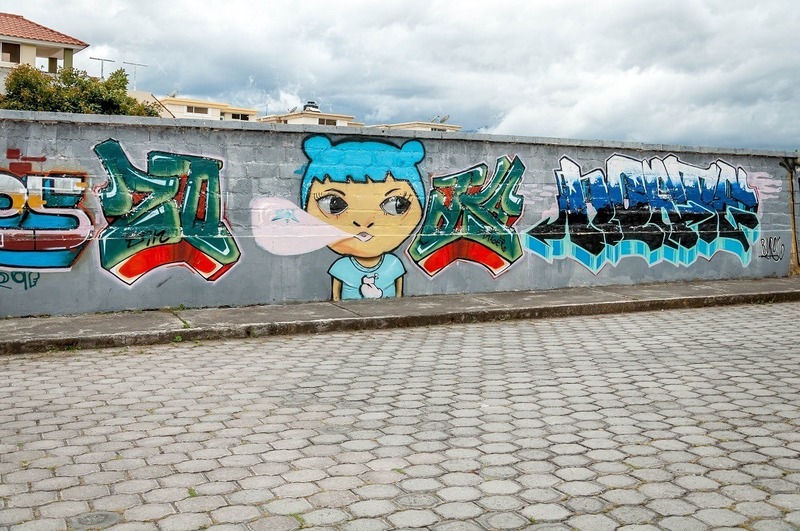 Machachi – One of the largest towns in the Avenue of the Volcanoes, Machachi is a transit point up into the highlands. 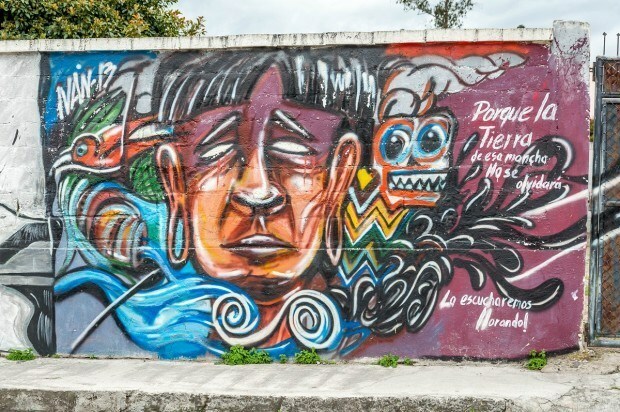 The street art murals in Machachi stretch along a stream and are scattered throughout the city, many featuring indigenous themes. 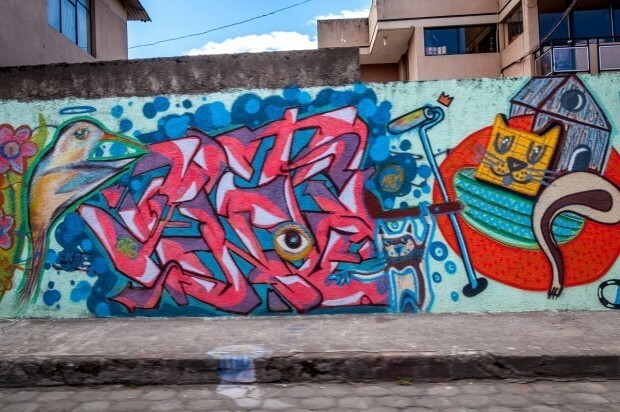 Quito – No discussion of street art in Ecuador would be complete without including Quito. 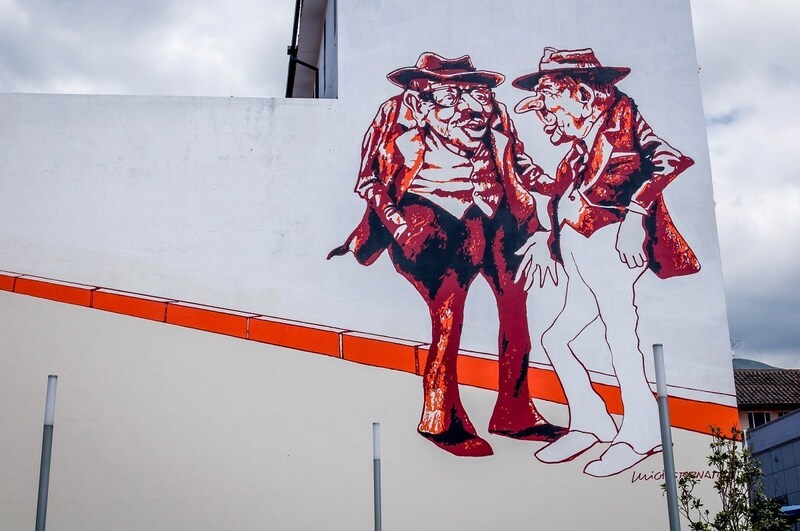 The city is home to some of the largest murals we’ve ever seen. However, what struck us was something we witnessed on our final day a Quito: a massive 2 kilometer wall being divided up into over 150 different 20-foot mural sections. There were hundreds of street artists assembled to paint the wall. We can’t wait to see how it turns out! We’ve big fans of street art and we loved what we discovered in the Andes. 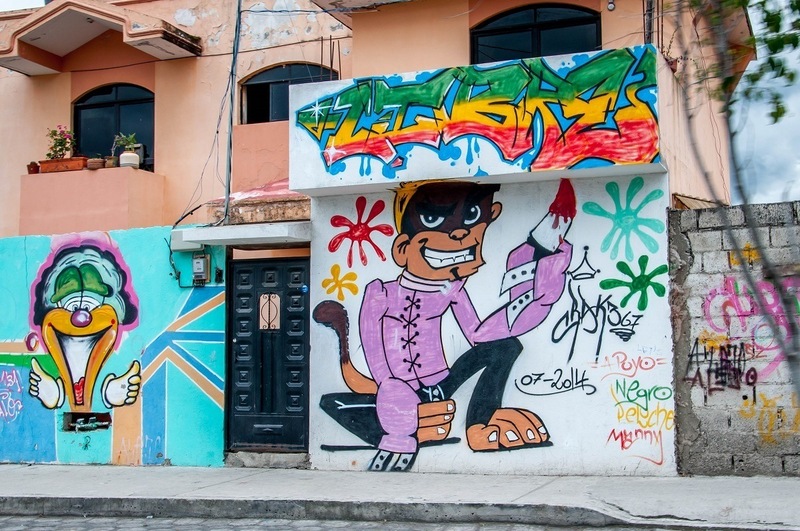 There is a rich graffiti and street art scene in Ecuador – and we hope that continues!